These two branding packages are the foundation of my design services. They'll provide you with a comprehensive and consistent brand identity that will get you noticed for all the right reasons. This package is perfect whether you’re just starting out or if you’re looking for a fresh new look to represent your business. You’ll get an effective brand identity: the foundation to start securing your dream clients and making a mark in your industry. This package is perfect for you if you're ready to take your business to the next level in style and start generating more business immediately. You’ll get an effective brand identity AND the materials you need to stand out and communicate: the complete branding package. Every project is different and I offer flexibility to suit your needs. Why not extend the scope of your project to give your customers a completely streamlined experience? Or maybe you'd like branding for a one-off event, like an exhibition. Let me know and I'll provide a custom proposal. My packages are the base for new projects. However, you can add extra items, including web design, print and packaging design, publishing and art direction. Custom printing packages are also available as an add-on. 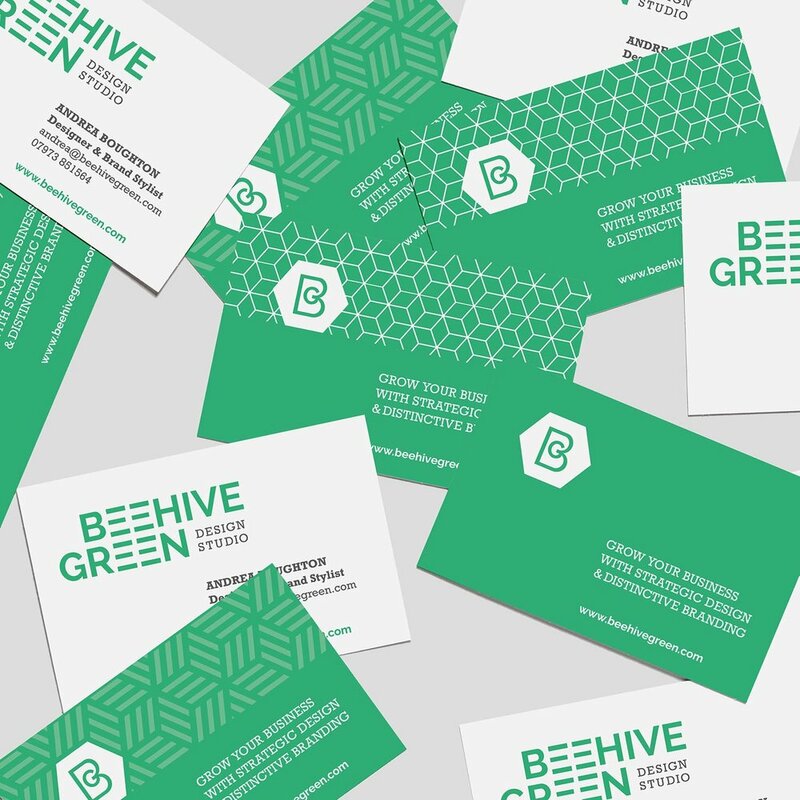 While Beehive Green is an individually run design studio, I have a strong network of talented collaborators that I can call on and work with on your project, including professional photographers and copywriters. After completing your project, I offer an ongoing design service exclusively for current and past branding clients – no project is too small! My aim is to ensure future projects align with your brand to help your business grow.